Model setup for full vehicle models consists of meshing, definition of material properties, contact defintions and connection techniques. 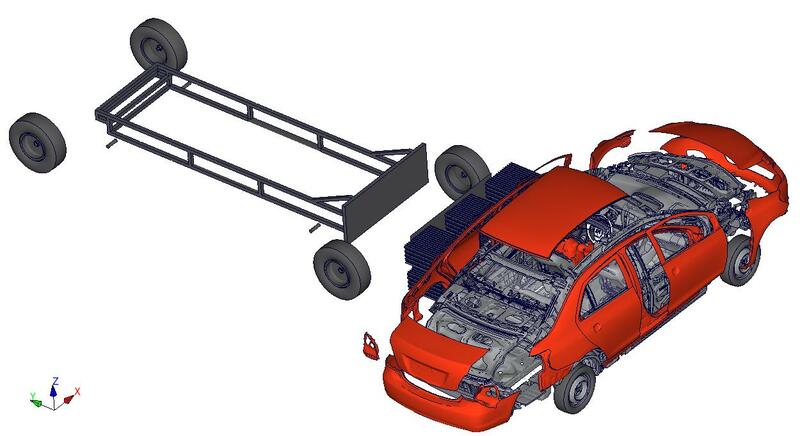 Single components of body in white will be put together for crash loadcases as frontal, side or rear impact and for static loadcases as roof or door crush. For model setup, IAT experts are using tools as determined by the customers, e.g. Hypermesh or ANSA, VCP or Primer. IAT uses the customer’s guidelines for models in LS-Dyna, Pamcrash or Abaqus.